These cm sizes are approximate sizes, depending on how round or large the latter can be: All the packing need to have a sanitary label stating the name of the producer, and the date of packing. 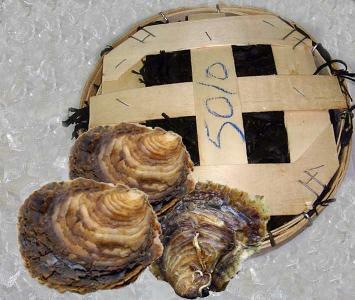 The oysters can not be stored on the flat side to avoid the water going out the shell. But to make sure this is still alive, we put some lemon on the meat and the oyster reacts to the lemon juice. If it does not move, it is dead and can not be consumed. The oyster must contain seawater, and must produce some once we have thrown away the first water. This second water is very good to drink. It is better not to open too long in advance 15 minutes to 30 minutes before eating. Fish have been on the earth for more than 450 million years. 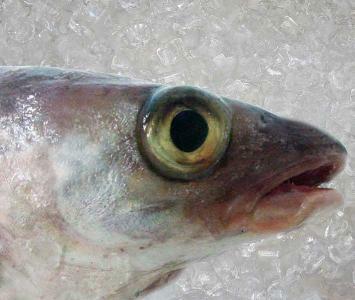 Fish were well established long before dinosaurs roamed the earth. There are over 25,000 identified species of fish on the earth. It is estimated that there may still be over 15,000 fish species that have not yet been identified. There are more species of fish than all the species of amphibians, reptiles, birds and mammals combined. Some fish make sounds by grating their teeth and others like some catfish make sounds from their air filled swim bladder. Fish have a specialized sense organ called the lateral line which works much like radar and helps them navigate in dark or murky water. The largest fish is the great whale shark which can reach fifty feet in length. The smallest fish is the Philippine goby that is less than 1/3 of an inch when fully grown. The whiting is a demurral fish that thrives on sandy and muddy bottoms at depths from 10-200 meters, often migrating into shallow water during the night. The Whiting is light in color with a dark spot by the pectoral fin. It has a pointed nose and the adults loose their whiskers. The back is fairly brown, but the fish is otherwise silver with a white belly. Up until the twentieth century, the whiting was a cheap fish, considered as food for the poor or for pets. The turning point came with the decline in the fish stock market and has now received a higher value. Whiting fish is a very delicate fish that can move from a wonderful dish to a watery mush in no time flat. The best way to cook this delicate fish, is the old fashion way: A lot of hot oil and butter. “Bélon” is the world-famous name for this species of oyster. 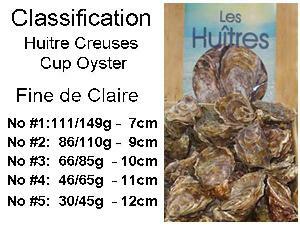 Only oysters, which harvest from the Bélon River in Brittany, France, can be called Bélon oysters. Even flat oysters grown elsewhere in France cannot be called “Bélon,” they are called “plate,” the French word for flat. They are prized for their unique tannic seawater flavor (some say they are dry and metallic). The thick-bodied Dover Sole is a flatfish that never reaches more than 20 inches. 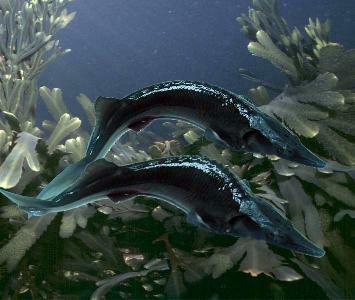 Compared to other “Sole-Fish”, it’s eyes are places on the right-hand side. A Dover Sole can live up to 45 years. They are available to commercial fisheries at about six to seven years of age. 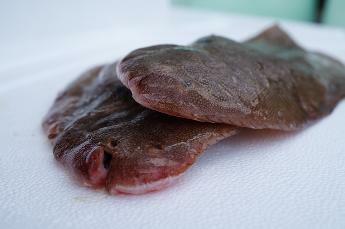 No other fish can be prepared in such various ways, as the Dover Sole. The thin yet firm fillet receives respect in culinary circles. The raw meat is glistering white and dense and stays white during cooking. Dover Sole, the premier white fish with a unique and delicate flavor, is a choice to pick for an elegant dining. The taste is mild and sweet. It’s a special indulgence and always worth the extra care.